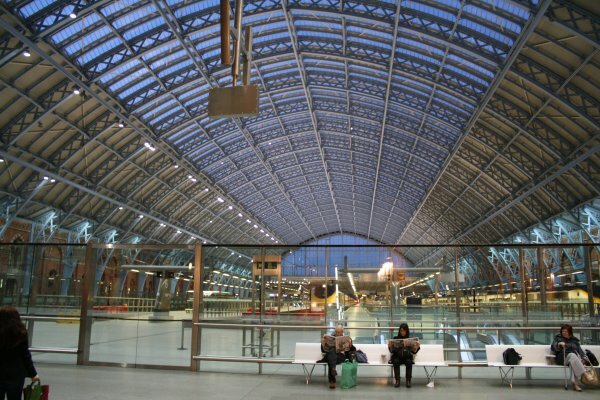 A masterpiece of Victorian architecture, St. Pancras has served the as a gateway from Greater London to the world beyond for nearly 150 years. Grade I listed, its protected status is due not only to its history, but to the magnificent design of William Henry Barlow, who had completed the Cliffton Suspension Bridge after Isambard Kingdom Brunel’s death. Spared at least once from the wrecking ball, it continues to see use today and is one of the most iconic buildings in the city. The station’s namesake, St. Pancras, was one of a few saints made martyrs by the Roman Emperor Diocletian when he would not renounce his faith in 304 A.D. The Midland Railway Company was responsible for the construction of the station. The firm was founded in 1844 upon the consolidation of the Midland Counties Railway, the North Midland Railway, and the Birmingham and Derby Junction Railway. By the 1860s, the company felt the need to expand itself southward into the nation’s capital. While it had been running routes to London since its founding, making use of the lines of the London and Northwestern Railway, the expansion of its services on these lines resulted in congestion and delays. Thus, when Parliament approved the Great Northern Line into London, Midland Railway coughed up £20,000 for the rights so that it could have its own route into the city. As the land was cleared, many people in Camden were displaced with no compensation and St. Luke’s Church was completely demolished, only to be rebuilt a couple years later in Wanstead. William Henry Barlow, as the chief engineer of the Midland Railways, was tapped to design the station. Barlow, along with Roland Mason Ordish and George Gilbert Scott, wanted to create a building that would leave the company’s mark on the city. With construction begun in 1866, the station proper only took two years to complete. The Barlow train shed was, at the time, the largest enclosed space in the world: 698 feet long, 240 feet wide, and more than 100 feet high. It would remain the largest cast iron and glass roof on Earth for years to come. Below the roof, the platform deck was raised on a grid formed by 688 cast-iron columns, with the arcade beneath used to store beer for Burton Brewery, most notably Bass and Thomas Salt. The first train arrived in the station on 1 October 1868, but there was no grand ceremony as the station was still under construction. The next major phase of building was that of the Midland Grand Hotel, designed by George Gilbert Scott. Work began in 1868 Scott’s interest in the Gothic aspect of Victorian architecture was prevalent throughout. Scott’s love or ornamentation is evident looking at it today, but his appetite for design proved more than Midland’s budget could handle. The original cost of £315,000 quickly rose to £438,000. Despite Scott’s grand plans for the exterior, visitors today can still see unfinished spots, such as the empty plinths originally meant for statues. The hotel opened in 1873 with the completion of the East Wing and was completed in 1876 with the West Wing. While the hotel was one of the station’s best features for years, its eventual decline led to its shuttering in 1935 when it was turned into offices. As the 20th Century dawned, Midland Railways was forced to merge into the London, Midland, and Scottish Railway in 1921, which had its terminus at Euston Station. During World War II, St. Pancras was hit by the bombs of the London Blitz and required significant repairs. Even after the creation of British Rail in 1948, the station continued to limp along through the decades until privitisation brought about renewed interest in the station in the 1990s. The station was expanded to handle Eurostar trains and further expansions continued into the early 2000s. 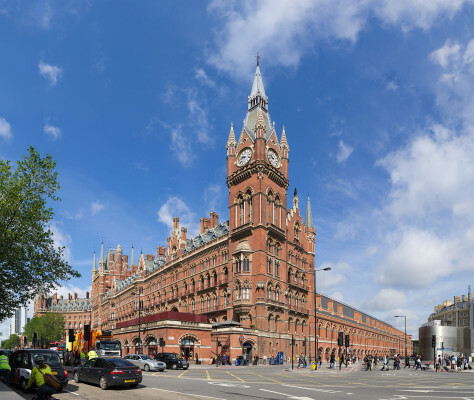 By 2005, even the Midland Grand Hotel saw renewed interest, beginning a six-year renovation process that saw it reopen as St. Pancras Renaissance Hotel in on 5 May 2011, exactly 138 years after it opened originally. 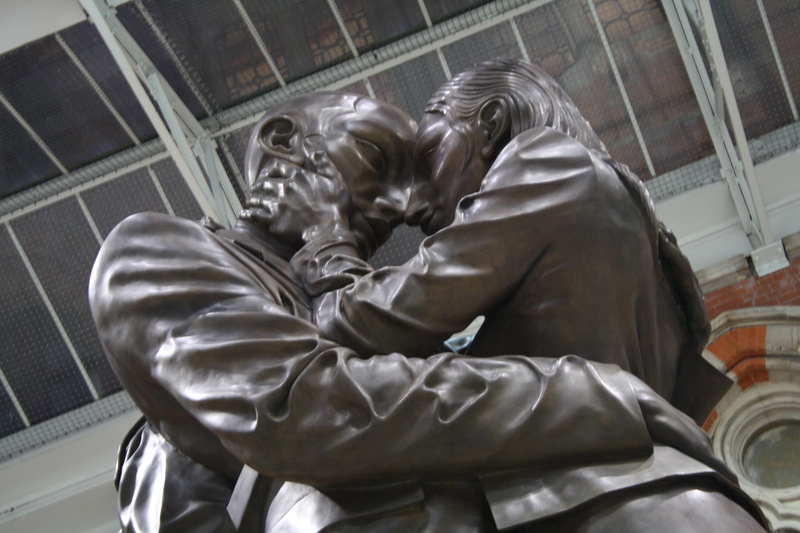 The station received its international status in 2007 when it was reopened with the new High Speed 1 service as part of Eurostar. Today, the station serves thousands of passengers today. Whether coming or going from London, it’s hard for them not to be in awe of the grand building as they pass through it on their way to someplace else. Its beauty, history, and importance to London will ensure it continues to be a destination for many a traveler. Yes love St Pancras Building MUCH better than Kings Cross/Liverpool Street/Fenchurch street etc!